I recently celebrated my 29th birthday, and as birthdays often do it prompted me to think about the year ahead and what I would like to achieve. One thing was for sure – I wanted to create a list of books to focus my attentions on. And so the list of 30 books to read before 30 was created! 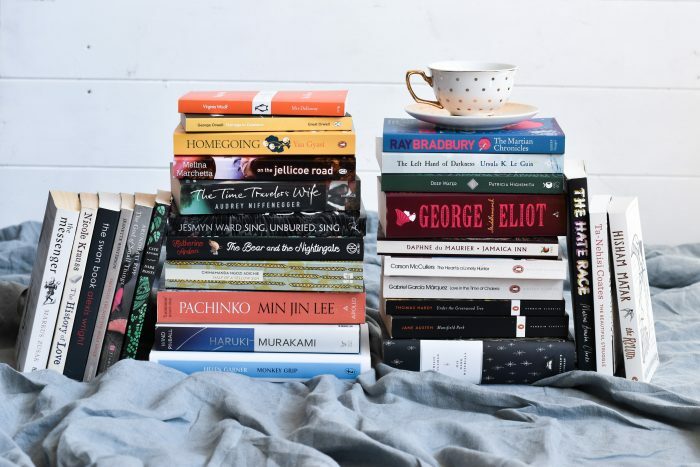 This is a totally subjective list, based on my own reading habits, books I have been meaning to read for a long time, and a mix of books that I think might be important for me to read. I chose 15 of these myself, from my existing To-Be-Read pile, and 15 were suggestions from friends, family or followers. As I read and review each of the books listed below I will update this page with a link to the reviews, so check back if you would like to see how I am progressing. I would love to see more people creating their own list like this, perhaps you might want to start earlier than your 29th birthday to give yourself more time to read all the very best books on your list. If you do create your own list please send me a link or tag me if you post about it on Instagram, I would love to have a read of your top 30 books to read before you turn 30. *Edit 14 March 2019* Since beginning to read through this list I’ve realised that my 30 Books to Read Before 30 list is actually 33 Books to Read Before 30! The Haruki Murakami volume I have is actually 2 books, Hear the Wind Sing, and Pinball. And His Dark Material by Phillip Pullman is, of course, actually a trilogy. But I shall persist!